Mapped By What Surrounded Them: Jam of the Day: Calvin Harris ft. Dua Lipa - "One Kiss (Oliver Heldens Remix)"
Jam of the Day: Calvin Harris ft. Dua Lipa - "One Kiss (Oliver Heldens Remix)"
I am on vacation today for a week and am pretty excited about it, so I wanted to leave on a high note. 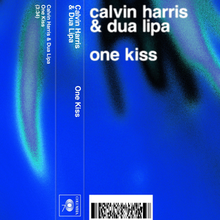 I really am digging this Oliver Heldens' remix of this Calvin Harris/Dua Lipa collaboration. Enjoy it as much as I do!